This is a free Bible lesson for children, which will teach the importance of continued prayer. In addition, one will see how God takes care of his children. God is not our “genie in the bottle.” He does not nod his head at our commands. We are his children, and he watches over us like children, because God is the good father. Just as it is not wise to give children everything they ask; God, whom is all-knowing (omniscient), is patient and wise as we seek him through prayer. For, God knows our needs before we come to him in prayer (Matthew 6:8). Prayer is essential for a believer in Christ. We, as leaders, must remember that prayer is a two way conversation. Also, we need to remember that God is self-sufficient without our prayers, in that, our prayers do not sustain him. As it is, God sustains us through prayer. His desire is for His children to ask, seek, and knock to receive his unfailing love and grace. Before the lesson, seek God through prayer–much prayer. Ask him to show you the truths of prayer, and knock in such a way, which is continuous. If you would like another Gospel comparison to Matthew 7:7, then check out Luke 11:9-13. In this passage, one is able to see a few comparisons Jesus makes. The first comparison is bread and a stone. The second comparison is a fish and snake. Try to get creative. Bring a loaf of bread and a large stone. If you have a live fish or snake, then bring them to show the children. If you do not have live animals, or do not want to deal with the potential problems, then think about stuffed animals or toys–maybe long-lost Beanie Babies. Another possibility, besides the objects listed above, could be to draw and color bread, a stone, fish and the snake. All one would need for this activity would be color, paper, and a little imagination. Whenever the passage is read, hold up the pictures, stuffed animals, or the live animals during the parts where they are mentioned (Matt. 7:9-10). Question 1: Can someone tell me why we pray to God? Question 2: How often do you think we should pray? Answer: The Bible says in 1 Thessalonians 5:17 to “pray continually.” We should never stop praying. Question 3: Do you think we have to pray all the time with our eyes closed? Answer: No, we can even pray in the car with our eyes open. Question 4: Would you want your mom or dad to pray with their eyes closed while they are driving? Jesus is telling us that we should seek God through prayer. Think to yourselves, have you ever walked up to a door to knock where no one came and answered? Jesus is saying that God answers the door that is knocked upon. 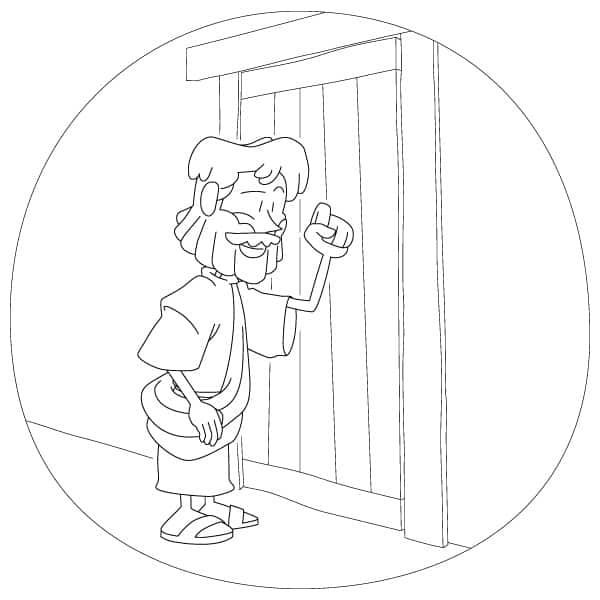 We must remember to be good knockers, because God wants us to wholly desire him. Knocking on the door one time does not show that we are interested in God. 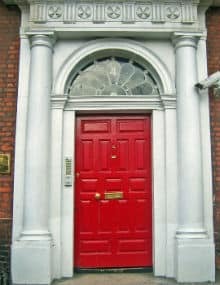 Our knocking needs to be continuous like we are eager to get inside [knock on something continuously to give an idea]. Also, we know God is good and loving. He is not going to answer our prayers poorly; he is going to richly answer our prayers. HE may not answer prayer the way we want him to, but he will answer the prayer better than we ever thought, because HE knows everything! Jesus says that we, as people, have evil hearts–due to sin. He says that since we have evil hearts, then we do not give better gifts than God, whom is perfect and righteous. We should always seek after God, because we know His ways are better than any other way. Jesus, who is God, stands at our heart’s door and knocks. Jesus, who told us to knock as we pray, is also at our heart’s door and wants us to open to him. We should open our hearts to Jesus, because he gave his life for us to take away our sins. Our sins separate us from God, and Jesus raised himself from the grave to show his power over sin. Open your hearts to Jesus. Believe in Him. Believe in the God who sent his Son, Jesus. Pray to seek God. Should we only pray one time before we give up? Does God know what we need more than ourselves? Yes. Thank you for this lesson. It was well researched and had great scriptures to add context. I will be using this lesson for my Sunday school class, so thanks. Tony Kummer (Editor) reviewed & updated this page on : April 6, 2019 at 7:36 pm. All our content is peer reviewed by our readers, simply leave a comment on any post suggest an update.